Queens County Weather Alerts !!! foxweather.ca is a private weather station located on the South Shore of Nova Scotia, Canada. The station is operated from remote and data is processed on a dedicated weather server many miles from the origin. We do our best to keep the data accurate and up-to-date over distance but are sometimes powerless about network grid failures or latency. foxweather.ca data is also broadcasted to third-party weather sites like CWOP, WeatherUnderground and AWEKAS. 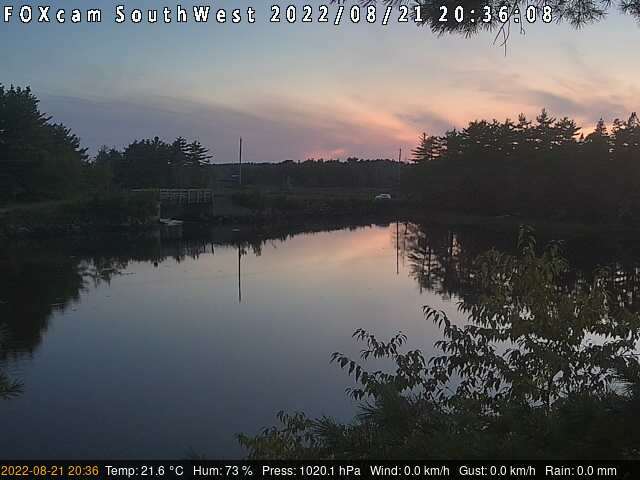 Please click the graphs on the right to get the latest weather data for FoxCreek, Mill Village, Queens County, NS (CDN). © 2008-2018 by FOXweather.ca. All Rights Reserved. • Site layout by Free CSS Templates.